If Beyoncé can wake up with flawless hair, why can’t you ? 5 things you should start doing for better hair. With your weekly busy schedules, hair care is probably at the bottom of the priority list. While the easiest go-to idea is to splurge towards some fancy hair-perfecting treatment that drills holes in your wallet, instead ladies; here are the top 5 daily habits you should adopt to get the luscious hair you deserve. What makes this list even better? You can do all these tips at the comfort of your home and probably in your pajamas. 1. Step away from your heating tools. True to the Bone Products That Never Fail Me! Shampoos and rinse out conditioners come and go! But these 3 products here… I must always have! Gives me shine and smells clean! I’m not leaving the house without a few sprays of this. Well if do, it will be with a cap on! My go to hair and scalp oil. Moisturizes my like none other and also provides a great hot oil treatment. No words! Picture a drooping flower perking up from a fresh rain. That’s what this is for dry hair. I rest my case. Feelin Feminine w/a Big Chop! When I first made the decision to cut my natural hair really short, I initially found myself feeling a tad too masculine for my comfort many days. Aside from regular trips to the barbershop, I love the ease, neatness & simple routine of maintaining short hair. Makeup. Just the right amount though. Too much will make me look old, too little like a man. Oil sheen. Yep just like the Afro sheen days 70’s baby! Shine her up! Lipstick. I never leave home without. Nothing fancy but always a necklace on my neck. Confidence & kindness! They go together like peanut butter and jelly! I haven’t written a blog in a LONNNG TIME, but today I had to take a second to share these new two little 💎s I found. After all, sharing is caring! Camille Rose’s Leave-in line is EVERYTHING! I cut my hair last spring & was starting not to like it so much lately. Thinking bout growing it out some. The shorter my hair is the nappier (no I don’t mind nappy) & drier ( I hate dry hate dry) it becomes! THEN I ran upon Camille Rose’s Leave-in line. She never disappoints! There are three products in this line, but I opted to only try these two because the third was a oil & I adore my coconut oil. These two alone, made me fall in love with my short hair all over again! They left my hair moisturized, shiny, defined & smelling delicious enough to eat! My hair feels loved again!!! I know many of us complain about the dryness of Natural Hair…sooo….I Thought I’d share! It’s too good not too! I’m on my second big chop, but this time I’m not on a growing frenzy! I’m doing what feels natural & beautiful to ME! Not my hubby. Not my friends. Not my neighbors… ME! As a new curly you had a mission. You wanted to grow long, healthy hair and maybe even prove a few haters wrong. In the process you got so wrapped up in meeting hair goals and achieving hair lengths that you forget to savour every stage of their naturalness. And so many of us are guilty of this. We forget to enjoy the fierceness of a TWA and tap into our creativity to get us over the styling hump of having hair in that awkward length. Like children, we can’t wait to grow up (or at least we want our hair to) but when we finally do, we realise that we long for the days of childhood. This may be especially true for long term protective stylers. Being natural isn’t just about the having the biggest hair and the perfect curl it’s about the journey and for those women who may feel that they robbed themselves of the experience they find it necessary to cut it all off and start again- but this time around they plan on taking the scenic route. Sometimes you’ve just gotta chop it all off… again. So much focus is placed on the first big chop. Everything from articles to YouTube videos are dedicated to guiding would-be naturals through their first big chop. But there’s a different big chop story that is never told. The story of the second, third or even fourth time big chopper. 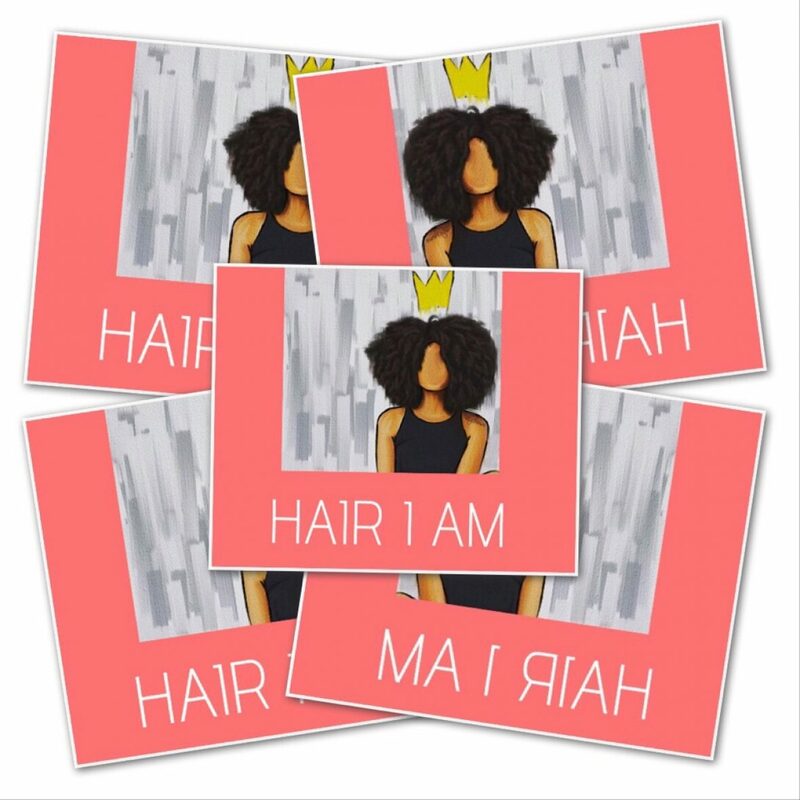 When it seems like every natural is either trying to grow her hair to unattainable lengths or maintain her beloved tresses there are naturals out there choosing to cut it all without reservation. Ultimately whilst each curly will have a different reason for doing her second BC here are a few popular ones. Hair, unlike other parts of our body, doesn’t regenerate itself. Once damaged it can only be patched up but never fully repaired. For the adventurous curlies out there who never met a hair treatment, tool or product they didn’t want to try they found themselves suffering from a serious case of hair damage. Now some curlies would rather hold onto every inch of damaged hair rather than rock a short cut. Curlies who were outgoing enough to dye their hair Barbie blonde, try exotic hair treatments or were too rebellious to follow any of the natural hair rules may face the need to cut it all off, again. For these curlies, gradually growing out their hair, babying their ends and protective styling is way too tame! At least this way for a couple of months they get to try yet another fabulous hairstyle- the TWA. Going natural can be hard and for some the learning curve is very steep. With all the information out there and differing opinions about everything it can be hard to figure it all out. Some naturals hit the ground running, others start off slow and take off but a few never really got the hang of it- and that’s ok. However, a head full of damaged hair when all you’ve ever craved is a gravity defying fro can really be a let-down for those women. In fact some women have chosen instead to return to more familiar territory; their wigs weaves and relaxers. However rather than raising the white flag and exiting the natural haired community stage left some women chose to be brave, chop it all off and start fresh. They chose to give natural hair a second try but this time armed with a little more information and an excellent strategy to win the war that is natural hair and go from TWA to BAA without the need for a third Big Chop. We are mothers, wives, students, career women and sometimes all of the above. We don’t always have time to engage in all-out battle with our hair come wash day, or set aside school and housework to set our hair for the perfect twist out. Hair should never be this all-consuming black hole where our free time goes to die. Like applying makeup or picking the perfect outfit we should look forward to styling our hair so that it can help to portray our personality or be the perfect accessory. However, some naturals found that their hair took up way too much time in their schedule and avoided doing it at all costs or simply never had time for it. Once they reached their hair goals and proved to themselves and others that they could do it they wanted to free themselves of all that extra hair. A lot of new moms or naturals who have found themselves going through new or stressful stages in their lives have chosen to do their second BC. Those who have are now loving the 10 minute daily wash and go sessions, the fact that products last forever and that they no longer really need to detangle. In fact they love their new, simpler hair so much many have vowed never to have long hair again. I’m sure that many of us can relate to how nerve-racking it is to do the big chop so a round of applause needs to go out to the women who have chosen to do it again and prove that the TWA can be a style choice and a fierce one at that.